As of February, this year, the French Netflix has only 32 percent of the Movie and TV library that the US Netflix has on offer whilst the prices remain very similar. This leads many to ask how to watch American Netflix in France? Thankfully the solutions are quite simple. Netflix is the biggest video streaming service on Earth, it is known the world over as the face of online video streaming for TV and movie content, but if you live outside of the US you will find that a lot of that lustre is lost when you only gain a fraction of what is on offer. This isn’t just a Netflix problem, every video streaming service has this issue, from Amazon Video to Hulu, it is all due to licensing rights. This means finding your favourite media can be next to impossible depending on where you live. You’d think with how money is so important to these companies they would put in a service where anyone can access content independent of where they are from but they instead push people to piracy… Leading them to gain zilch. There are two methods to watch American Netflix in France. Each method has its pros and cons, which is best for you is based on your own personal needs. Using a VPN will secure all of your internet communications so you use the internet with peace of mind knowing no one is snooping on you. The issue with using a VPN for Netflix is that HD and UHD video streaming is very bandwidth intensive. Depending on how far from the server you are, and which protocol you use, you may find that your internet speed won’t cut it for smooth streaming. Especially for 4K content. Using a VPN on anything other than a PC or Smart Phone is a difficult process as well. If you use a Smart TV for Netflix, it may not be possible to use a VPN, unless you set it up on a VPN capable router. Netflix has started to crack down on VPNs as well, so it may be the case that if your VPN service isn’t currently blocked, sometime in the future it may be. Worth keeping in mind. Smart DNS doesn’t encrypt your traffic but it doesn’t face any of the problems that a VPN does. It works on pretty much any internet device that allows you to change the DNS settings and it doesn’t affect your internet speed. If you don’t already have VPN provider that offers US servers, it is important to find a quality one that will serve you well. 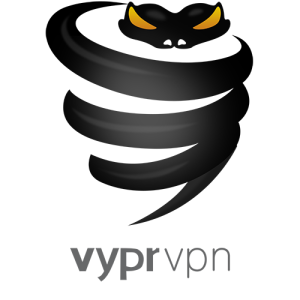 VyperVPN is a good VPN provider that offers a lot for your money. It comes in at $12.95 a month, which may be a bit out of some people’s price range but it is worth it. They offer their own VPN protocol that was specifically made to help bypass VPN blocks that services like Netflix are currently implementing. Very good for peace of mind in future. 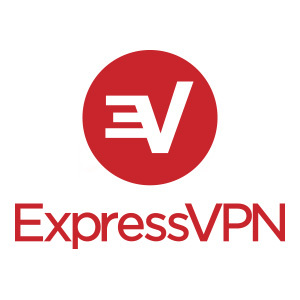 ExpressVPN is another good option that comes in at $12.95 a month, they have servers in 154 countries including 13 in the US, so you can find that one that is close to you (as close as possible anyway). They offer the usual PPTP, L2TP, SSTP and OpenVPN protocols. Whichever one you choose, it is important to make sure they unblock Netflix, many smaller VPN providers have fallen to the might of Netflix. Places such as CactusVPN for example. There are multiple ways to connect to the US VPN server of your choice. Many VPN providers offer their own software to make connecting as easy as possible. These are a very valid way of connecting, especially if you aren’t confident in your ability to set a connection up manually. They often come with great features too, like kill-switches and automatic program start up on VPN establishment. Setting a VPN connection manually isn’t a mammoth task. The process depends on which protocol you choose. PPTP, L2TP, and SSTP are natively supported by Windows so you can set those up just going through the internet connection setup wizard. OpenVPN requires its own software and requires its own config files for setup, these are usually provided by your VPN provider. Whichever way you choose to connect, make sure it is a US server. Now you are connected to your US VPN server, you are free to watch American Netflix in France. Once you log in you will have access to all the US library has to offer. Smart DNS services have been under attack by Netflix as well but many are still out there that can provide US Netflix. SmartDNSProxy is one such service that offers to unblock US Netflix. It costs just $4.90 a month and is a very reliable service. There is a two week free trial as well, so you can see if it works for you. Some Smart DNS providers offer their own software to use for setting up Smart DNS. Setting it up manually though isn’t very difficult. All you have to do is amend your DNS settings to the ones provided by your SmartDNS service. This can be done on pretty much any device with internet capabilities. All that’s left is to sign into your Netflix account and you will be greeted with the luscious US Netflix library. Free to peruse and sample, as much as you please. If you found this How-To useful, please share it with those that need US Netflix in their lives. If you have anything to add, please let us know in the comments (if you can spare the time from watching Netflix all day).